Hi there, welcome to Trippy Passports! 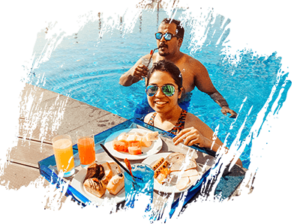 A couple-travel, food & lifestyle blog from India, Trippy Passports is run by Neil and Chandrika, to share with you their love for all things new and fascinating – be it destinations & cultures or food & the people! Having set foot in more than a dozen countries so far, Trippy Passports was launched with the aim of sharing inspiring travel tales, mouth-watering food trails and practical itineraries & tips with the audience. While Neil looks at the world through his kit of camera lenses, Chandrika pens down travel stories & experiences from across the world, the culmination of which happens right here at Trippy Passports! © 2018 Trippy Passports - All rights reserved. Travel. Food & Beyond .